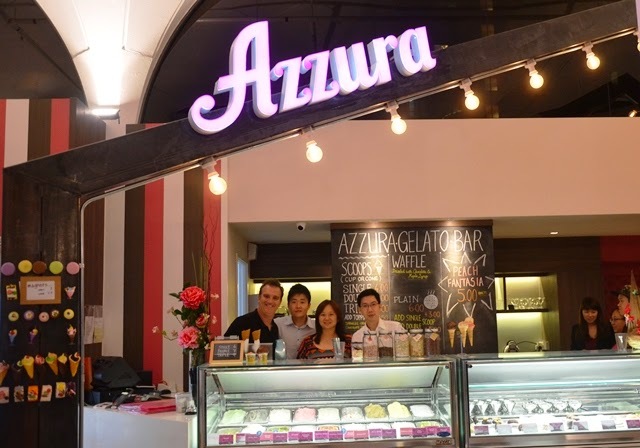 [SG] Azzura Gelati Cafe | "making ice cream with heart and not simply with brains"
With the tropical weather in Singapore, ice cream and gelato are sure favourites among most people but with that many brands around, it is hard indeed to be distinguished. Apart from popular foreign brands such as Ben & Jerry's and Haagen Dazs, we have no lack of home-grown brands such as Island Creamery, Tom's Palette and The Daily Scoop. 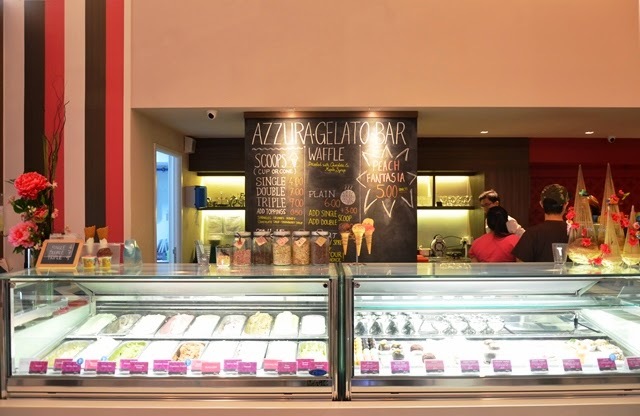 The preference for artisan gelato in Singapore has also inspired ice cream parlours such as Alfero Gelato and Azzura Gelati to open up here. With a history dating to the 60s, Azzura is now a multiple award-winning brand which started in Perth. 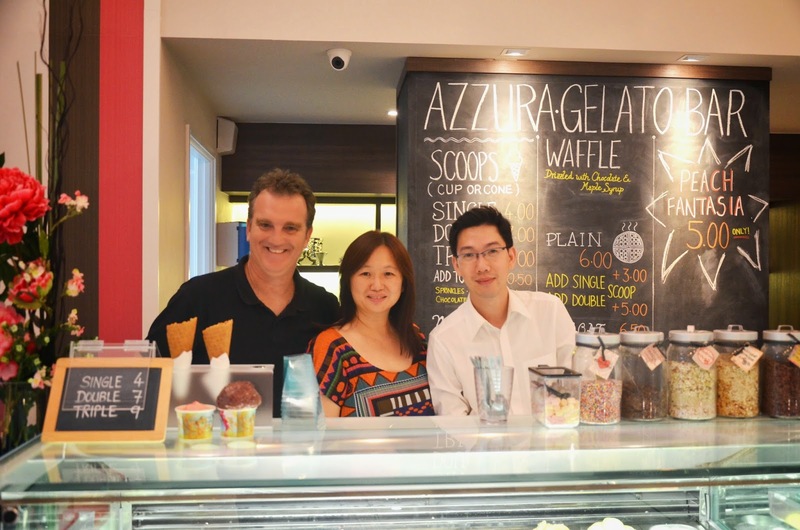 Breathing the legacy of a traditional ice cream manufacturer with Italian roots of origin, founder Marco is truly passionate about his creations and is bringing all of that big gelato love to Singapore. A testament to the quality gelato is its accolades received from Dairy Industry Association of Australia and Royal Agricultural Society. Formerly a high school Math teacher, Marco has always aspired to carve a niche for himself in the F&B industry. He lives by the philosophy of "making ice cream with heart and not simply with brains" which makes little wonder why he was often regarded as THE ice cream guy! With a mission to bring a smile to everyone with his ice cream, Marco is constantly innovating to bring a frozen scoop of sweet-tooth fix to every child on the block. 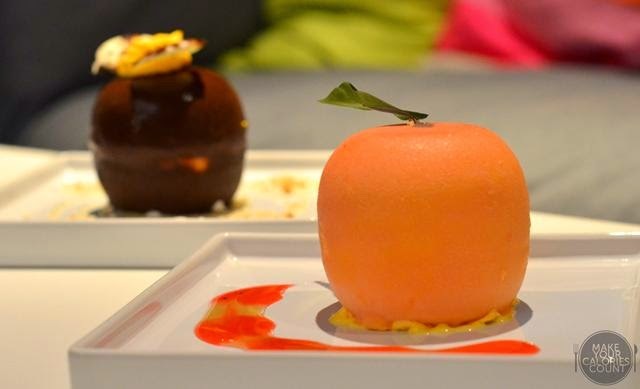 Let Marco's creations do the talking and us the tasting! If you love your peaches, this would be one of the largest draw considering it is also their most popular item on the menu, selling in excess of 60,000 pieces last year alone! 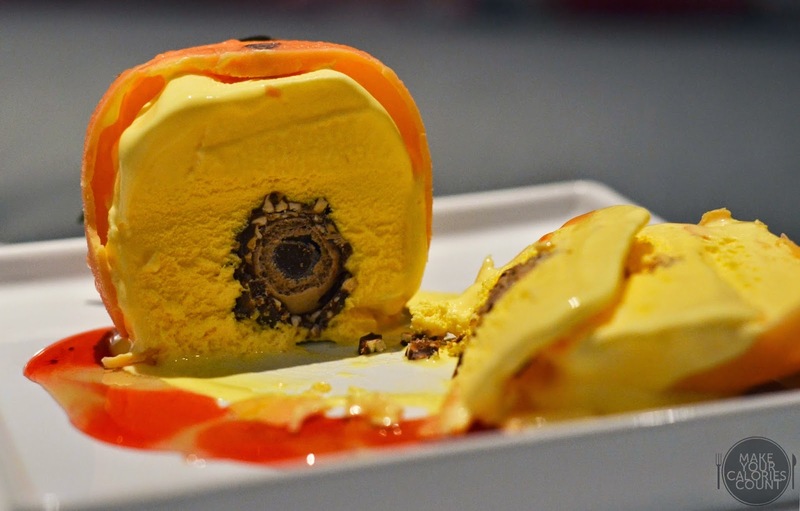 Encased within the peach-tinted chocolate shell was the addictive yellow peach gelato which tasted genuine but it was that ferrero rocher within that made all the difference. The chocolate and hazelnut complemented the gelato harmoniously in terms of texture and flavours and it was quite easily my favourite dessert of the evening. 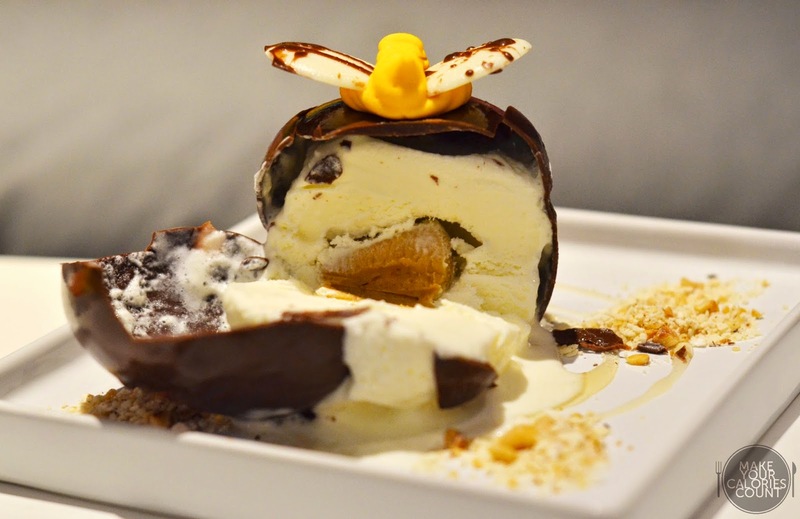 Another one of the signatures is the "Honey Bee" which has a beautiful chocolate casing filled with honeycomb flavoured ice cream and a choc-honeycomb centre. Drizzled as part of the decorations on the plate was crushed nuts which helps to add a layer of texture to the dessert. While I personally would have preferred a crunchy piece of honeycomb on the inside, the fudge-like core was equally pleasing to the palate. This petite treat recently won the Champion Dairy Dessert at the Dairy Industry Association of Australia. 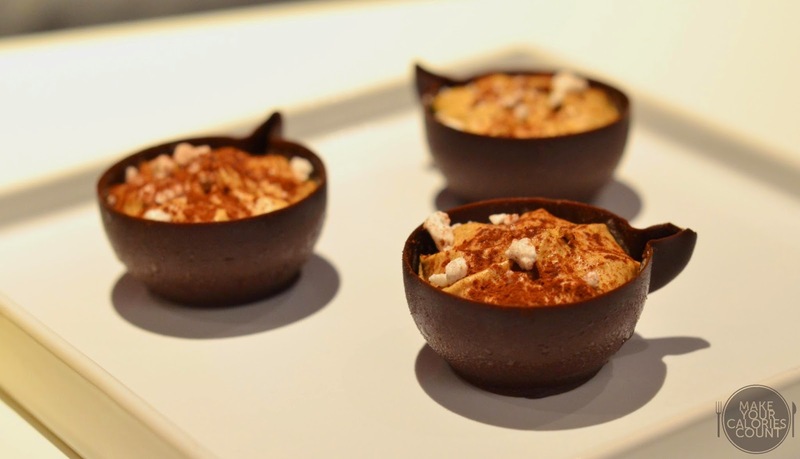 Apart from the intricately shaped chocolate cup which is edible, I felt that it was almost like eating cappuccino! For those with a preference for creamier desserts, this would surely satisfy though I would have preferred a slightly more robust punch of the cocoa and caffeine. 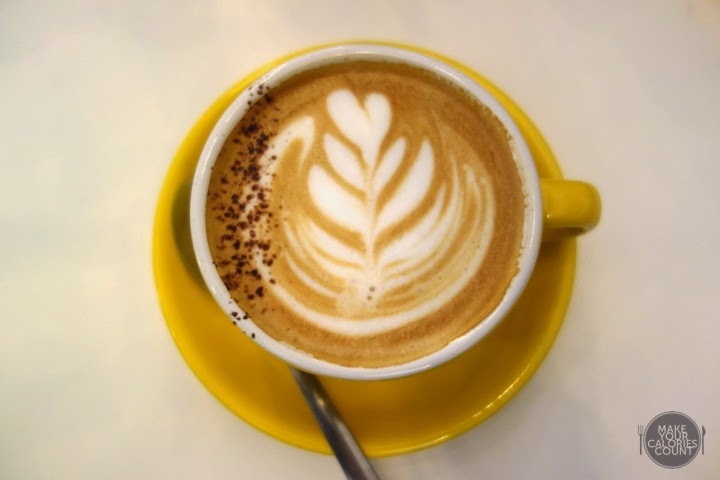 Fret not as you could always enjoy a cup of artisan coffee! 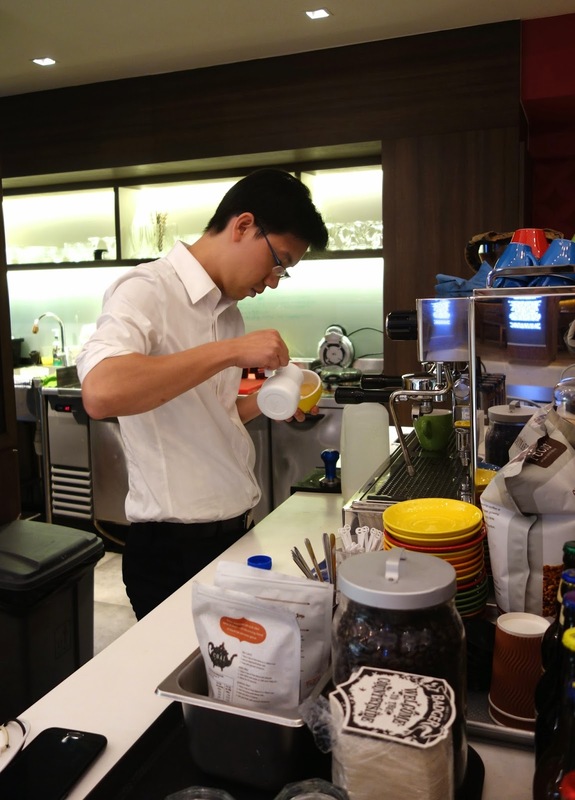 In-house barista, Shaun at work! 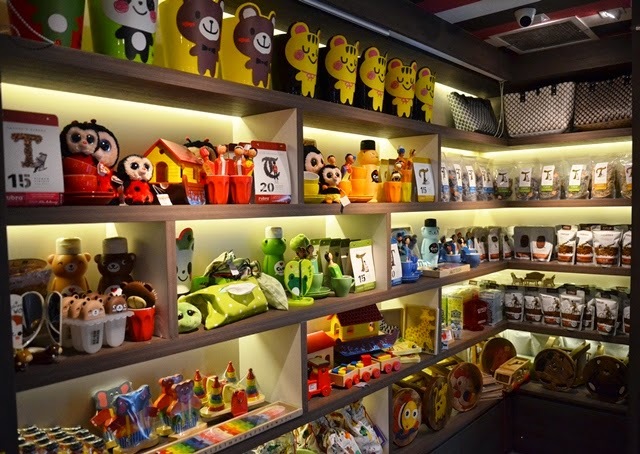 Bringing more than just quality gelato desserts to Singapore, Azzura aim to impress by delivering a relaxing retail and dining experience with its range of merchandise. 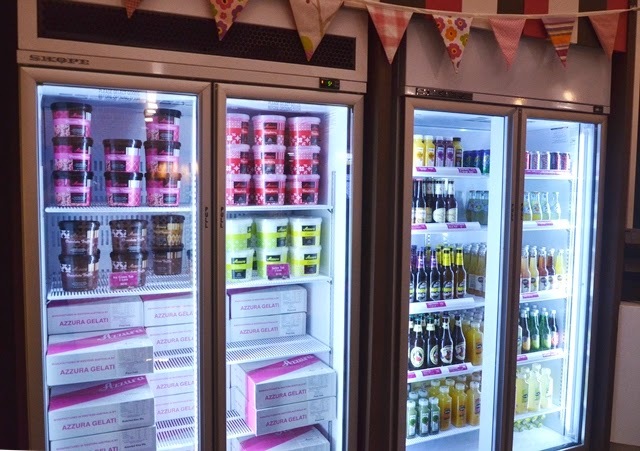 Readily available for takeaway orders, spot the beautifully packaged tubs of delicious ice cream! This is also one of the few ice cream parlours around in Singapore which also offers a range of Australian/New Zealand cider, ale and fruit juices suitable people of all ages! 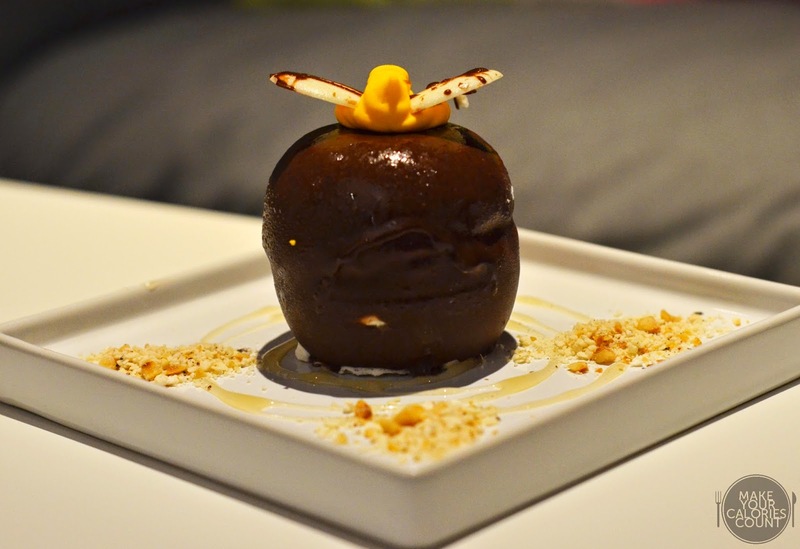 Apart from the desserts, one can also expect to indulge in different types of gelato with interesting flavours such as blossom nougat and peanut butter. Expect a rich and creamy scope of indulgence from the quality ingredients and heart that goes into making of the gelato at just S$4/scoop and S$7/double and S$9/triple with toppings at an additional S$0.50. To complete the sweet-tooth fix, Azzura also offers milkshakes at S$8/- and freshly made waffles at S$6/- though every Thursday is "Waffle Day" where all waffle orders are at half-price! 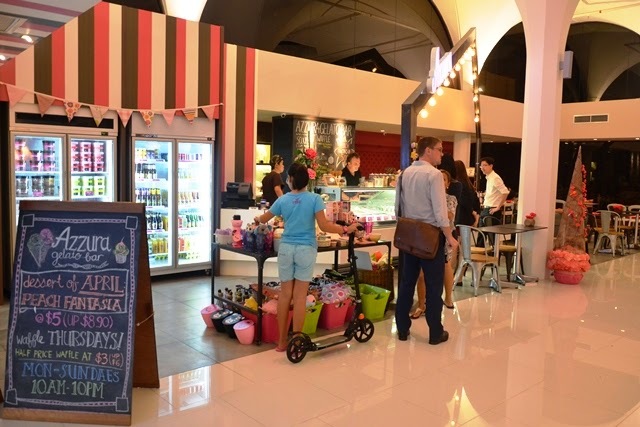 With an open-space concept, this is only the beginning of introducing a concept stall to Singapore with the purpose of providing customers an experience where adults and children alike can enjoy gelato, have a beer and take home some goodies. Situated within Katong V Mall, our concern was that this place could well easily be overlooked, largely due to the layout of the building. Once you find it, expect some sweet treats to please! P.S: A special thank you to Laura for the invitation and the team at Azzura to play host. [SG] Symmetry | striking the right balance?